Built in 1922 by the Philadelphia Tobogaan Company was originally installed in Idora Park in Youngstown, Ohio. In October 1984 the Carousel was purchased at the auction by Jane and Walentas and was restored back to its original condition. 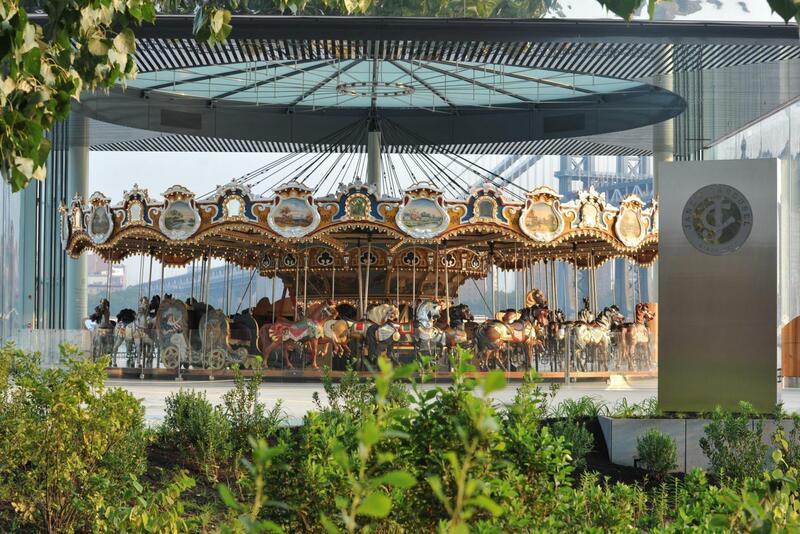 The Carousel was set on the East River in Brooklyn Bridge Park in gorgeous glass pavilion with 1200 lights and opened to public September 16, 2011.